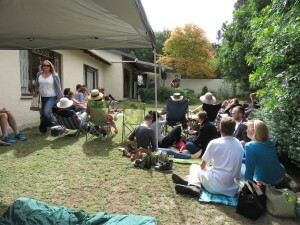 Home / Blog / Fancy hosting a house concert? Fancy hosting a house concert? 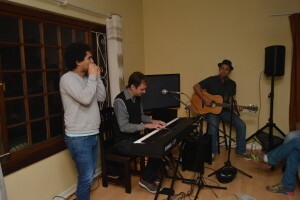 IN 2015, we embarked on the house concert tours. It was such an epic experience! We performed many concerts in people’s homes, and all of them were uniquely memorable. 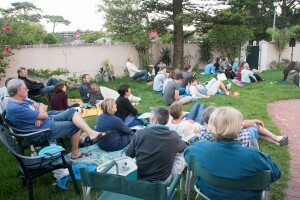 House concerts are intimate, personal and up-close. The concept is incredibly simple… picture the scene: your friends bring some snacks and drinks and we all hang out. Then everyone sits down and we put on the show. Then afterwards there’s more chilling and hanging out. It all takes place in the comfort of your own home. Want to see where we’ve performed? Click here for the list of posts and photos! There is no performance fee or booking fee attached to the concert. It’s really easy: all that’s required is that you host your friends, and we come and perform the concert. The only proviso we have for the house concert is that there is a minimum of 25 people. We have found that any less than this doesn’t maximize the potential atmosphere of the concert. “How do we make our money?” you might ask. The show we perform works ENTIRELY on a donation basis. So each person you invite is given the opportunity at the end of the concert to make a donation (there is no minimum or maximum amount). We also have merchandise (albums and other cool stuff) which we sell at all these shows. We are promoting our new album – The Great Deep – mostly on house concerts, in the intimacy of homes around the country. We also perform a variety of other music, which we think will suit your taste and preference. It’s up close and personal, with humour, fun and great music. If you are interested in hosting a concert, or would like to find out in more detail how it could work, send an e-mail to ryancalderband@gmail.com. 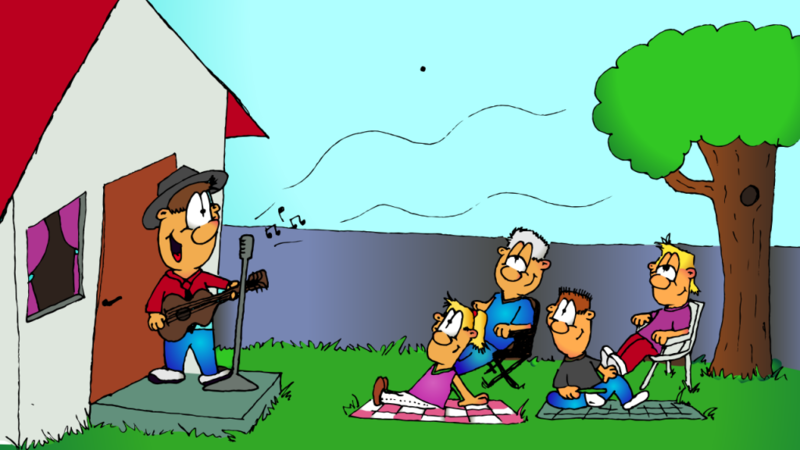 We have a very cool PDF that we’ve written, which we will send you, on how to make house concerts awesome! Then we make a date and together, we make it happen! A house concert is a very special event. It could be your most memorable event of the year! We would love to chat it through if you are considering it. Hey Ryan i am very keen..can you send me more details please. HI Robyn! Awesome – have sent you details. 🙂 Thanks for getting in touch! Bruh! E-mailed you. You are such a trooper! Do you know that?